Suzanne Hoffman is a reformed attorney with a passion for food, wine and travel; she spent most of her life in Switzerland and is now back to Vail Valley, Colorado. Since 1999 she's been frequently traveling to Piedmont as she fell in love with the land, the food, the wine culture and the people who make it. She is the author of The Wine Families, a weekly column on the Vail Daily and her current project is Le Donne di Piemonte or Piedmont Women, a book about wine-making women of the Langhe-Roero wine disctrict in Piedmont. It’s hard to find in Europe outside of Italy and obscure in the United States despite its acclaim at the biennial World Championship Cheese Contest in Madison, Wisconsin. 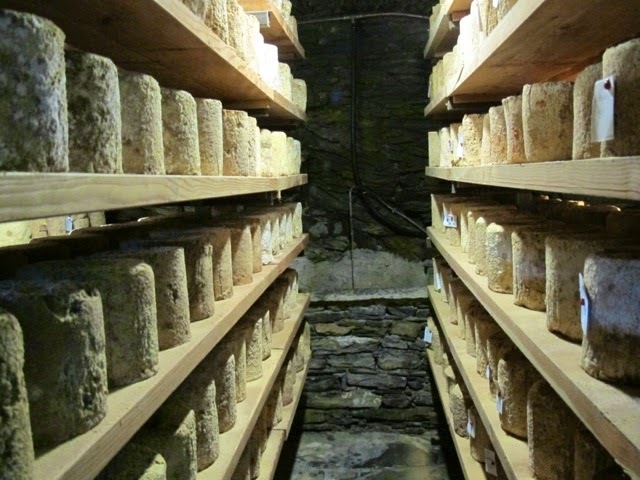 In 2002, this ancient cheese first noted in the 13th century was named top cheese in “Open Class Hard Cheeses.” I researched this prestigious competition and discovered there are 82 cheese groups, each having about 80 cheeses from across the world. Do the math. For an education, take a look at worldchampioncheese.org. But now, back to Castelmagno. When I’m in the Langhe or Roero, it takes great scenery, delicious food or divine wine to tear me away for a day trip outside of the region. My search for Castelmagno’s origins in was one of those moments. Castelmagno is a commune of six hamlets (frazioni) at the western end of Valle Grana, one of the 15 Occitane alpine valleys in western Piemonte. Named for San Magno, legendary Roman soldier who was martyred after preaching Christianity in the Roman Empire’s waning days, Castelmagno is now home to more cows than people. From late spring through autumn, it’s a stunning place for hiking and biking. Skiing is possible nearby in winter. In all seasons, it’s a gastronomic gem. 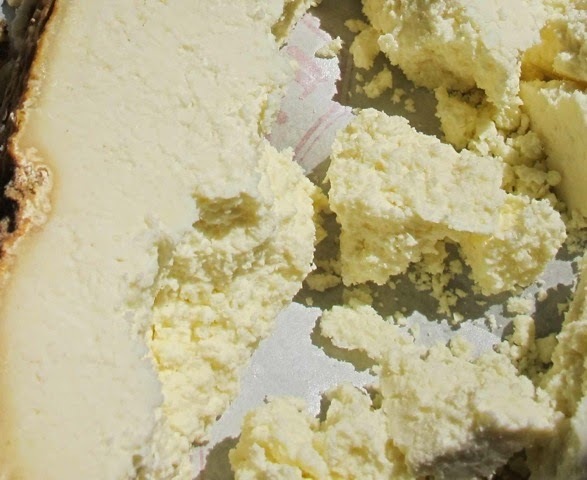 In a rare moment of regulatory brilliance, in 1996 the European Union designated Castelmagno a “DOP” (Denomination of Protected Origin) cheese. As a DOP product, “Castelmagno” must be made from raw milk from the cows – and a little from goats and sheep - that graze the valley’s high meadows in summer and made only in the communes of Castelmagno, Monterosso, Grana and Pradleves according to strict guidelines. In the early 1980s, although found for nearly two centuries in Europe’s finest restaurants, the popularity of this previously obscure cheese spread beyond Piemonte. Today, it’s one of the most popular Italian cheeses. With an annual production of 6,000 – 7,000 wheels, the demand far outstrips production. Most often seen in shops and markets as large cylindrical wheels with a hard, rusty-colored rind, Castelmagno has a crumbly, somewhat grainy texture. As it ages, it becomes drier and stronger as greenish-blue mold veins penetrate the cheese. Young or aged, it is always a treat. 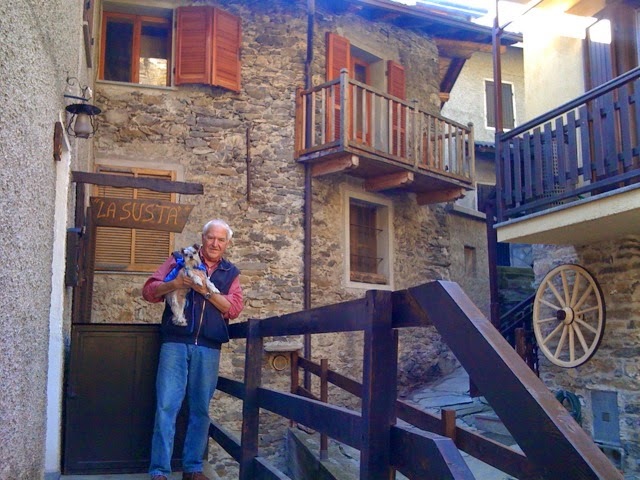 With my husband Dani and our appropriately named dog Arneis, we drove up Valle Grana in search of a traditional Castelmagno menu. I had limited experience with Castelmagno, only having enjoyed it at the end of a meal with a bit of cognà. The Piemontese marmalade made primarily from grape must (freshly pressed grape juice containing the skins, seeds and stems), hazelnuts and honey, is a perfect companion for this somewhat strong cheese. But Castelmagno should not be relegated to cheese plates. It’s a cheese perfectly at home in any course. It was a sunny autumn day and we were the blind leading the blind. The hamlets of Castelmagno are steep, with houses built nearly on top of each other and no central business district to speak of. 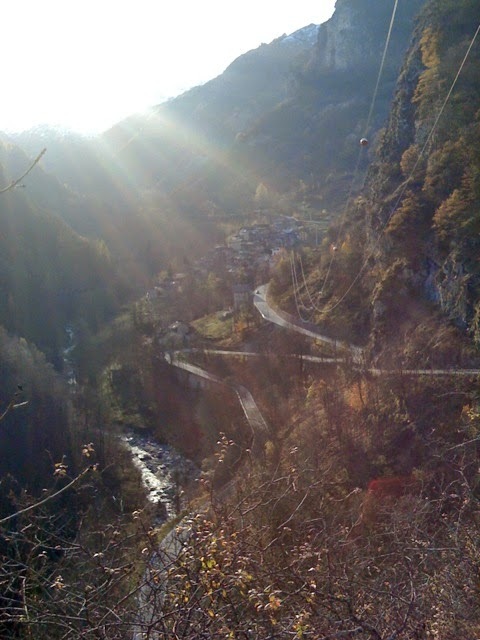 We wandered through Campomolino’s maze of narrow streets, finally climbed a series of stairs that ended high above the valley at the door of Trattoria La Susta. Dani and Arneis at La Susta. Ready for a Castelmagno cheese feast! Pushing open the pane glass door, we entered a tiny dining room with the obligatory wooden bar along one side. Other than the owner, we were the only ones there. Not always a good sign, but we figured mid-November was quiet, so perhaps it was just a question of timing. My instincts were screaming that the pungent smell of cheese and the owner’s kind, good nature meant delicious, traditional food was to be had here. And it was. Choosing a table near the glass door onto a small balcony, we made room for Arneis, the dog, and settled in with a glass of crisp Arneis, the wine. 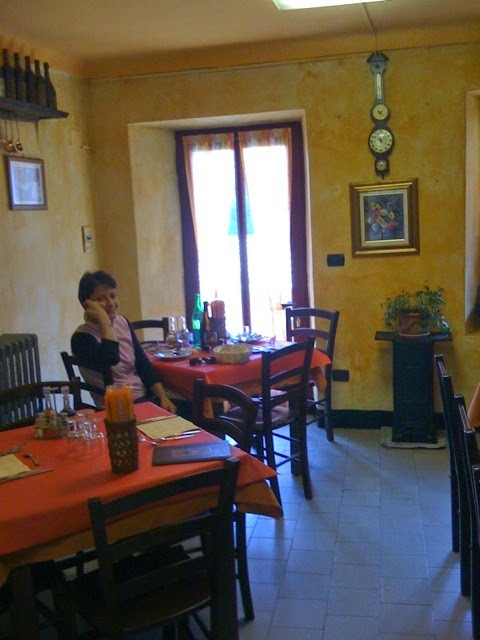 As with most typical trattorie throughout the region, there was no menu. We simply informed the owner what we were seeking. He smiled then disappeared into the tiny kitchen. First up, a wedge of fresh Castelmagno with chestnut honey. The near-savory taste of this product of Piemontese bees after drinking the nectar of chestnut blossoms makes it one of my all-time favorite honeys. If you haven’t enjoyed it, put it on your gastronomic bucket list. The cheese was only a few months old and was not so dry. It lacked the bite of aged Castelmagno I had previously enjoyed, but it was nonetheless delicious. With crispy grissini, the traditional Piemontese breadsticks, this was meal in itself. But this was merely a teaser. Next came slices of Castelmagno frittata. The Italians eat much of their dishes room temperature and this was no exception. It was the perfect temperature for the cheese flavor to develop. The portions were not the smallest I’ve seen in Italy and though I knew much more was coming, I couldn’t resist finishing it. Eggs were a theme that day. Fortunately, my Sicilian genes enable me to enjoy high cholesterol foods with little ill effect, thus far that is. Following the frittata, was an omelet with herbs and, yes, Castelmagno. The omelets were little silver dollar sized delicacies perfect for tasting the synergy of herbs, cheese and eggs. Now we were heading into territory I later discovered was La Susta’s speciality – gnocchi con fonduta. These feather light gnocchi were bathed in fonduta made from melting Castelmagno with butter, milk, eggs, salt and pepper. Basically, it was fondue over gnocchi. This was like discovering the Holy Grail of cheese dishes. But we weren’t finished. Mind you, this was at a slow, steady pace so we weren’t bursting at the seams – yet – but it was still a feast. Although we had been through four different dishes, we were only now approaching the “seconde.” The Piemontese speciality, Brasato, beef braised in red wine, with polenta was the main course. By this time, wine was an afterthought, but we ordered a Langhe Nebbiolo with soft tannins that went beautifully with the fork-tender meat. Done? No. More cheese. 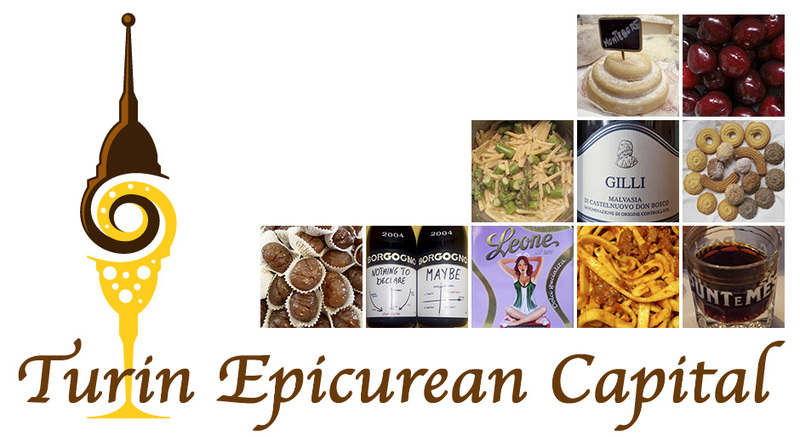 A piece of aged, blue-veined Castelmagno came before a simple hazelnut torte. Hazelnuts are to Piemonte what pecans are to the southern American state of Georgia. This with a glass of crisp Moscato d’Asti is one of my favorite ways to end a heavy meal like this. After a ristretto, and discovering La Susta serves their own Castelmagno, we paid, thanked the owner and waddled down the stairs to enjoy an afternoon of gentle walking. The ninety-minute ride back to Barbaresco seemed like forever, but once home we fell into bed, not having a second thought about dinner. Who could? Time for dreams – of cheese.